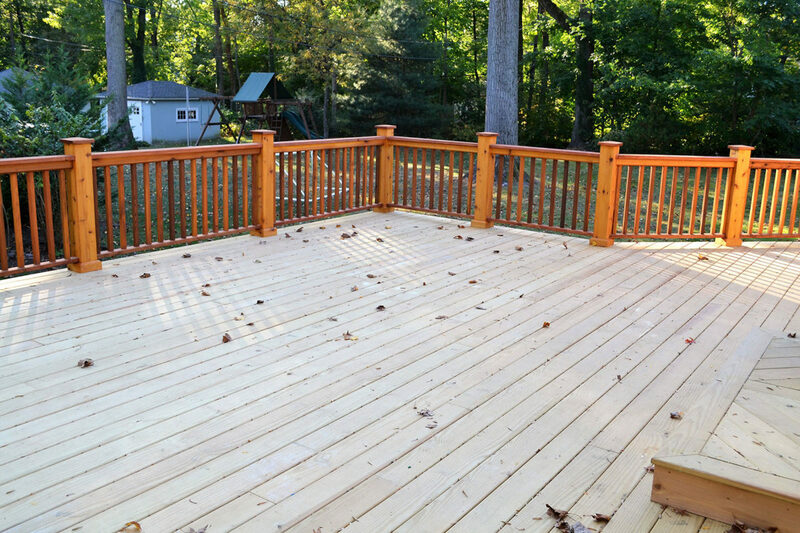 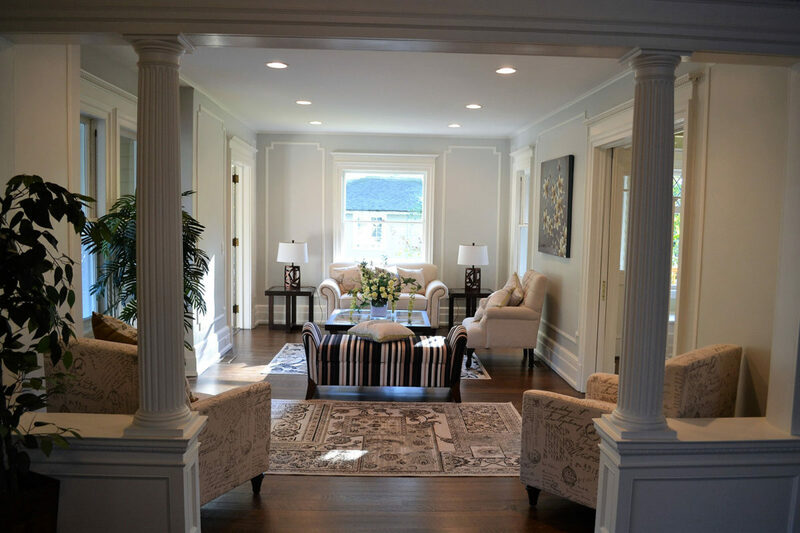 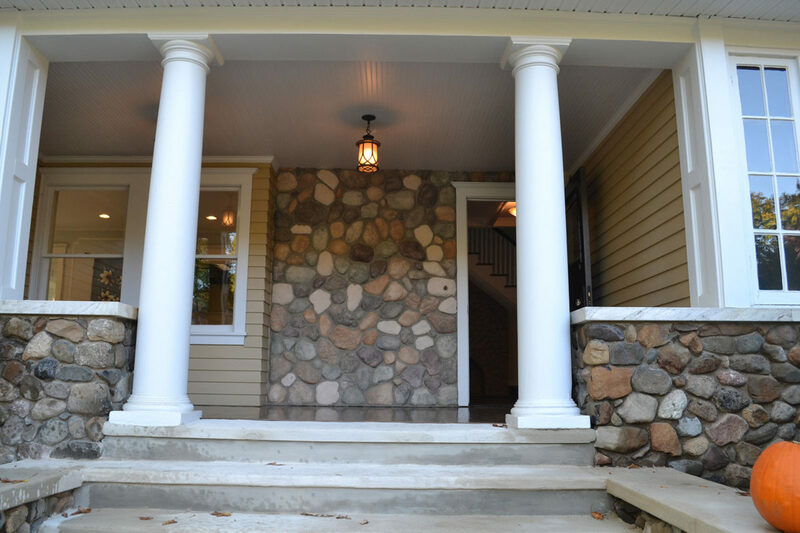 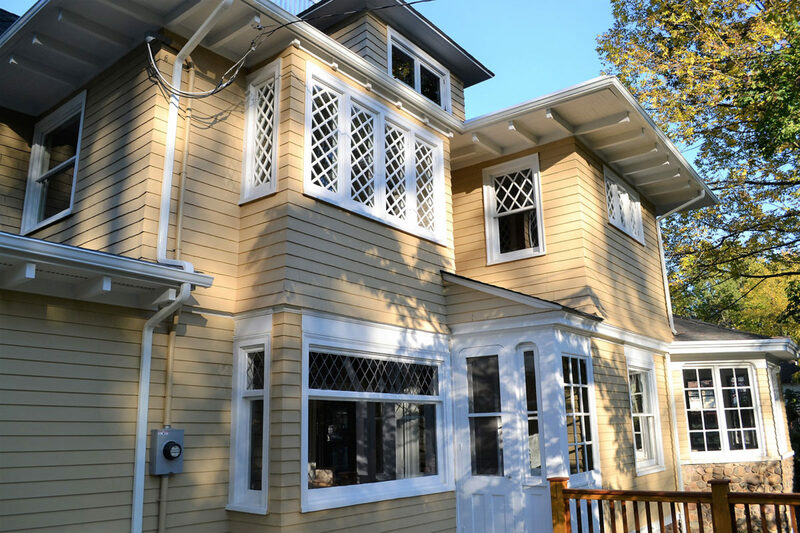 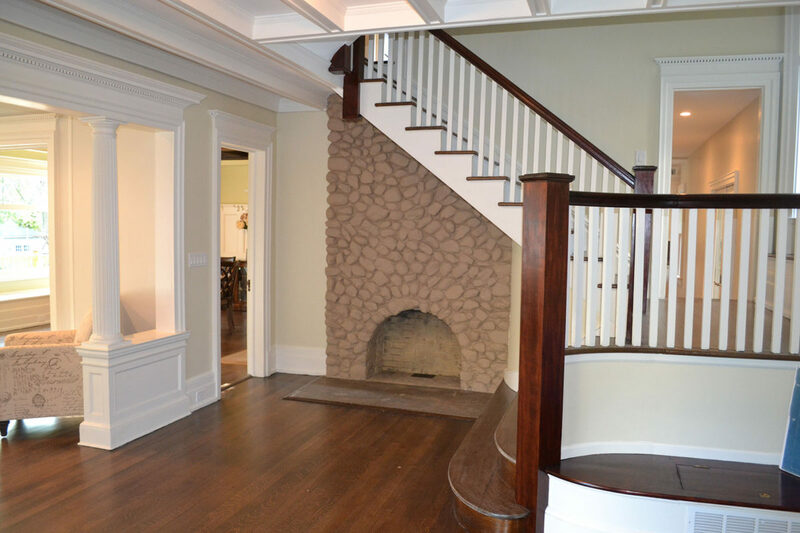 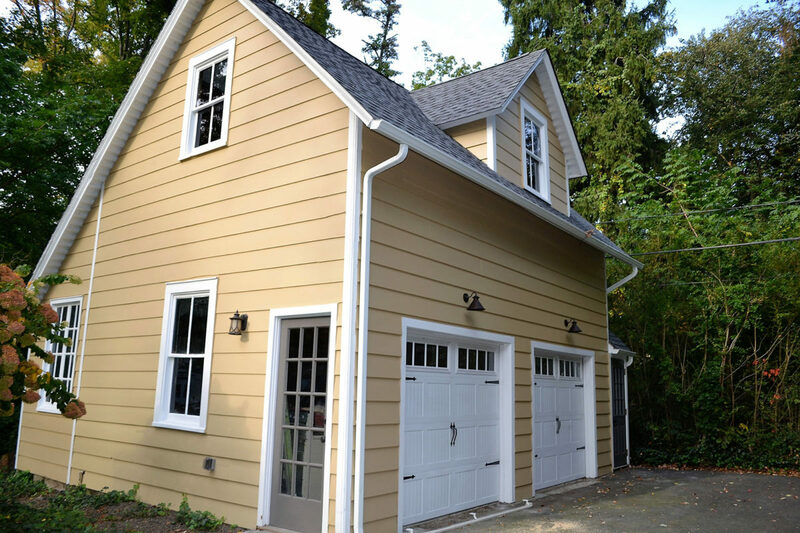 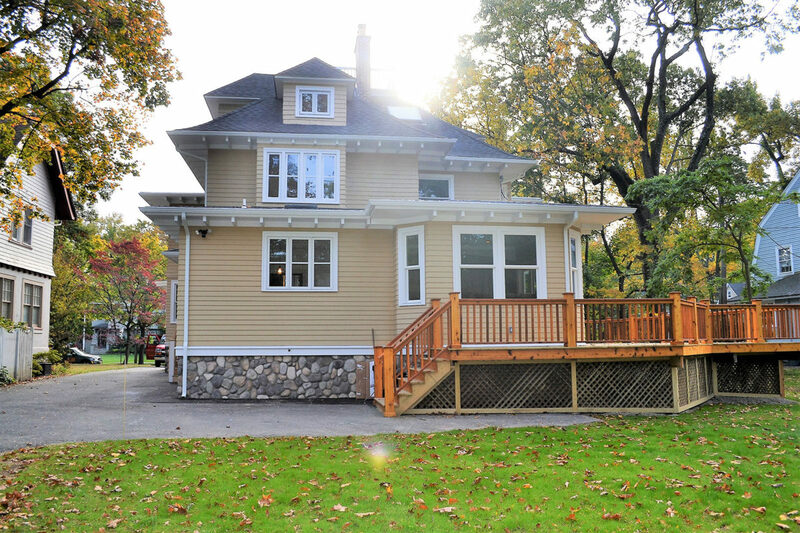 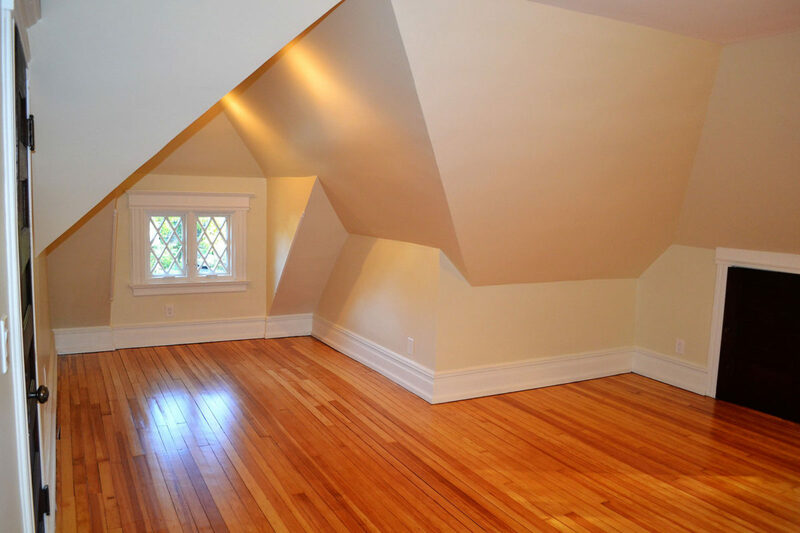 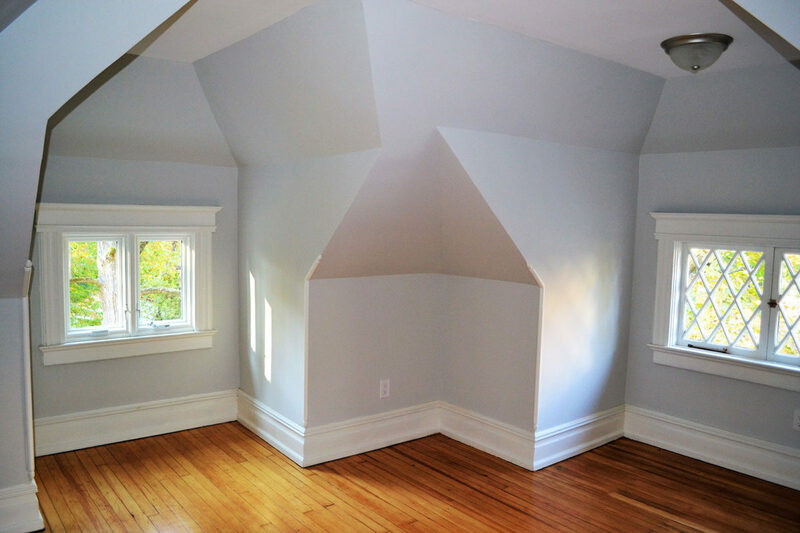 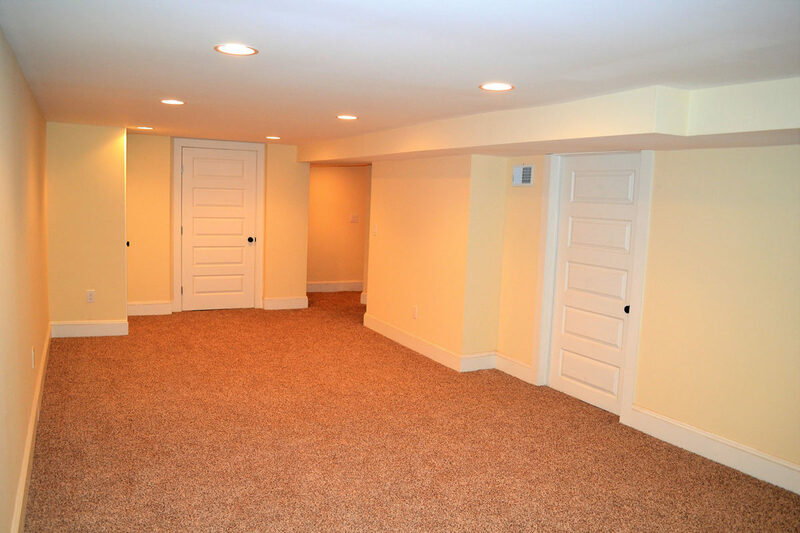 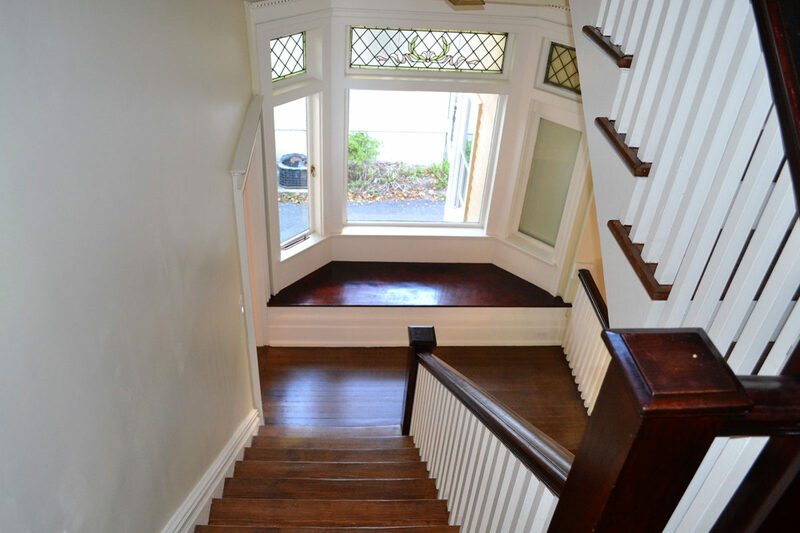 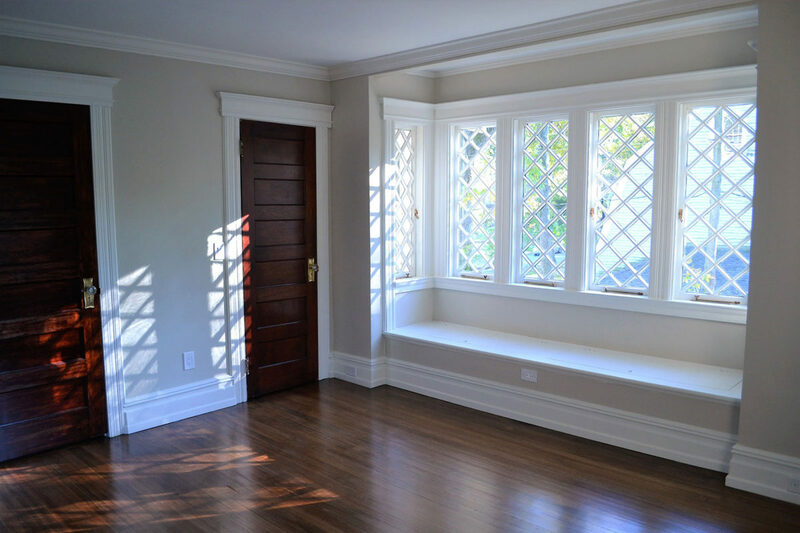 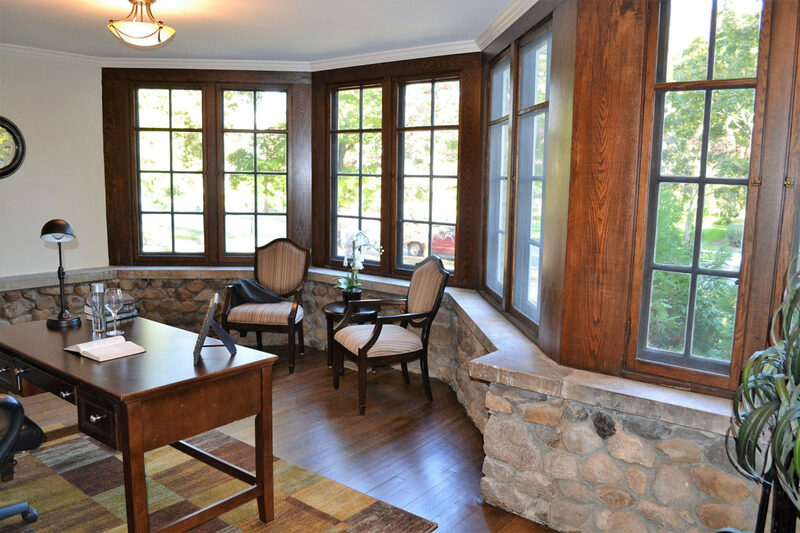 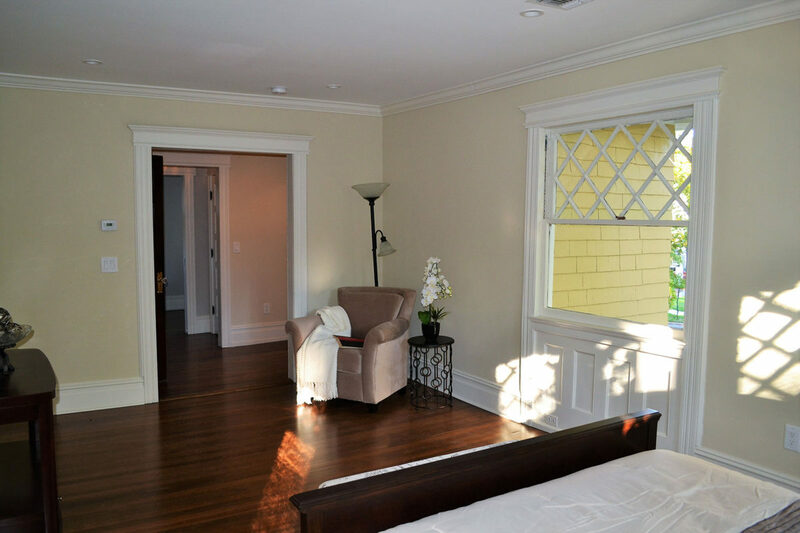 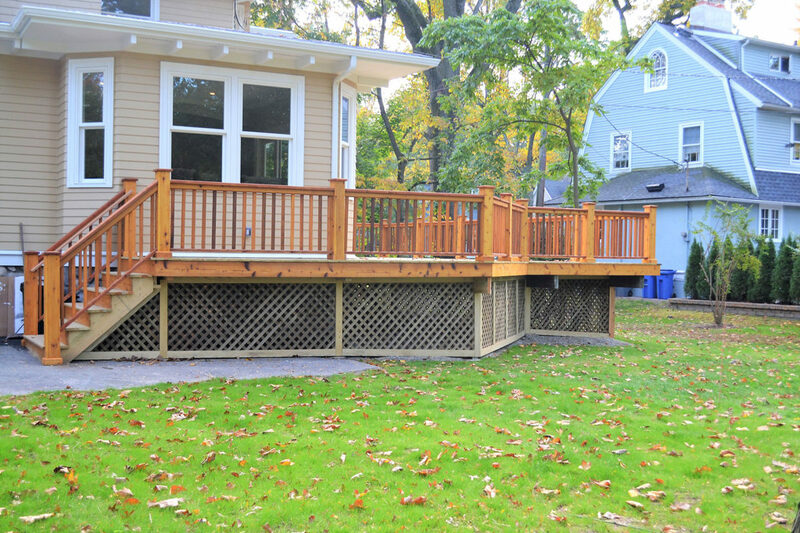 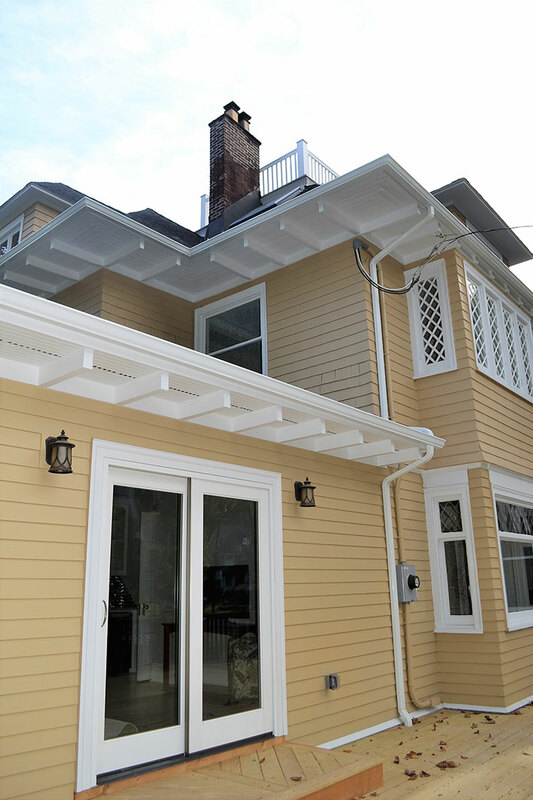 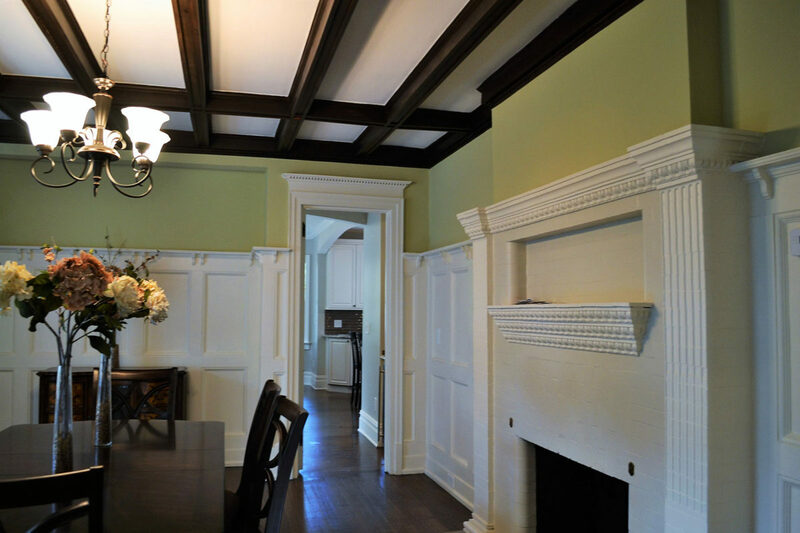 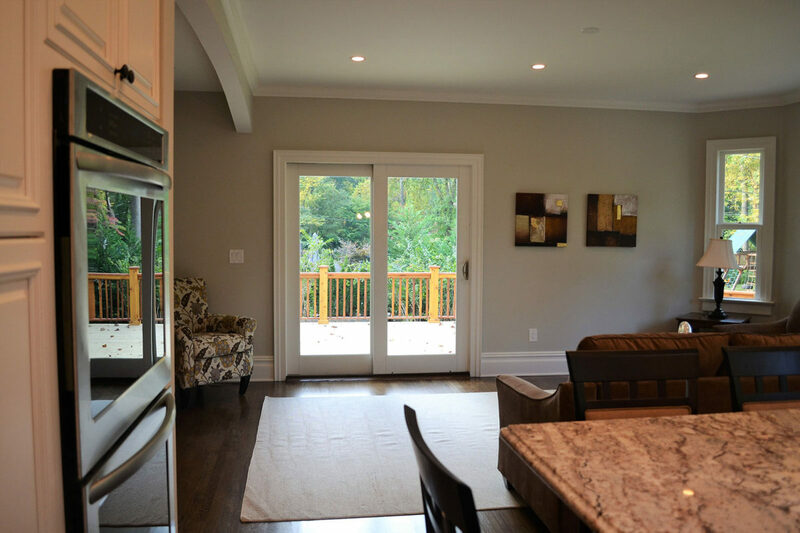 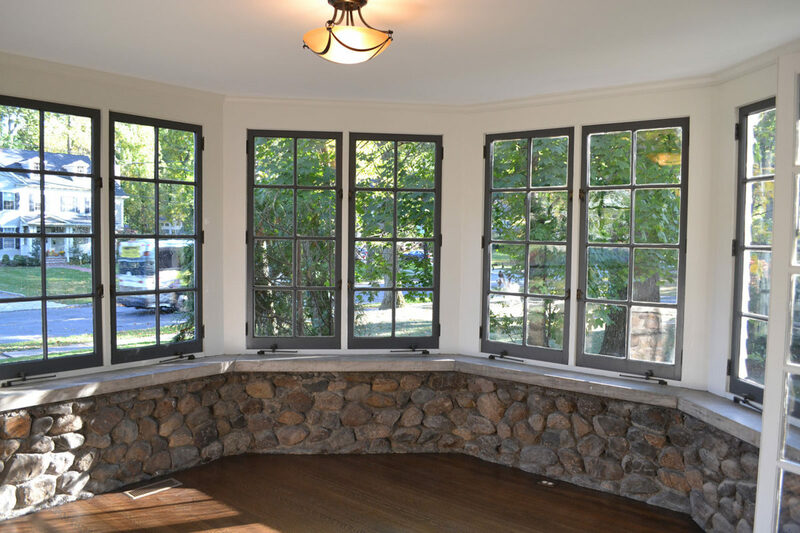 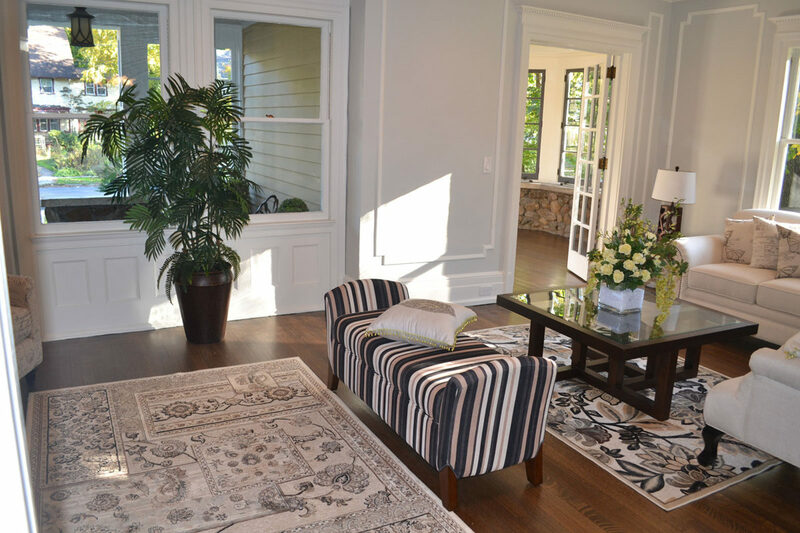 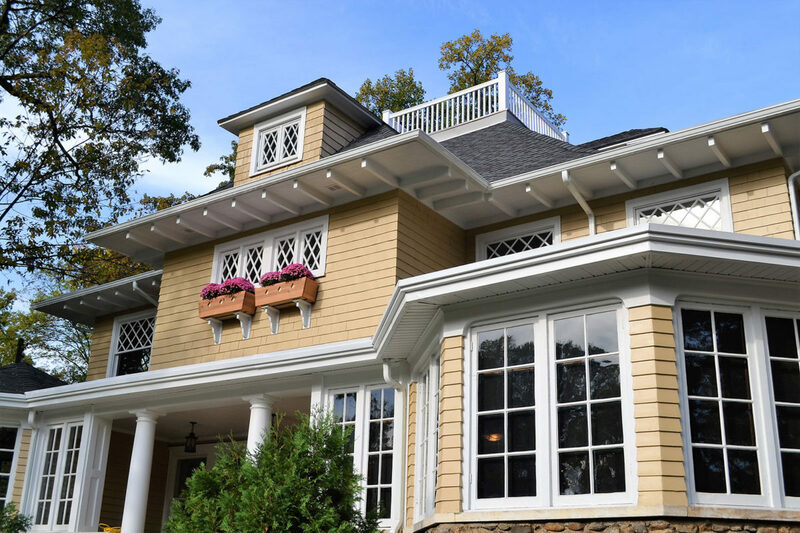 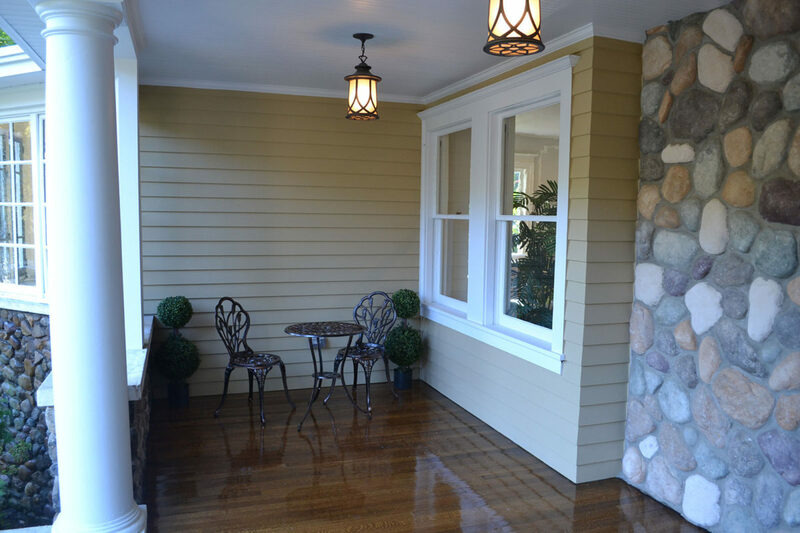 This whole-house restoration involved a renovation to the front entrance, a kitchen addition and full kitchen remodel, all new baths, finished attic and finished basement, a new wood deck in the back, and a fully renovated garage. 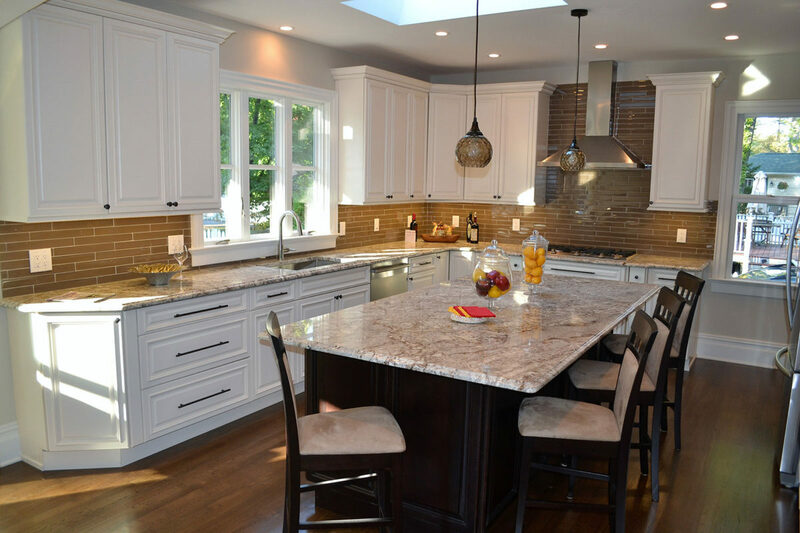 The expanded kitchen features a skylight and white cabinets with contrasting dark cabinetry on the large island. 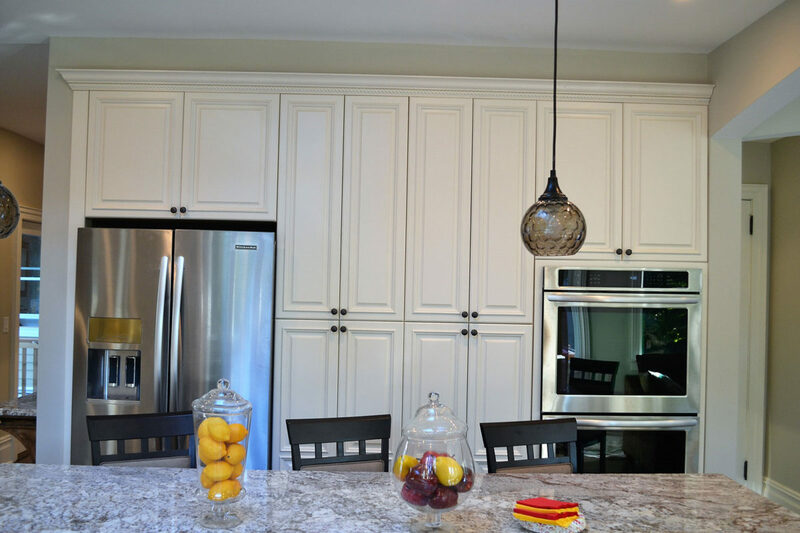 The built-in range blends with the cabinets, while the stainless steel vent hood stands out. 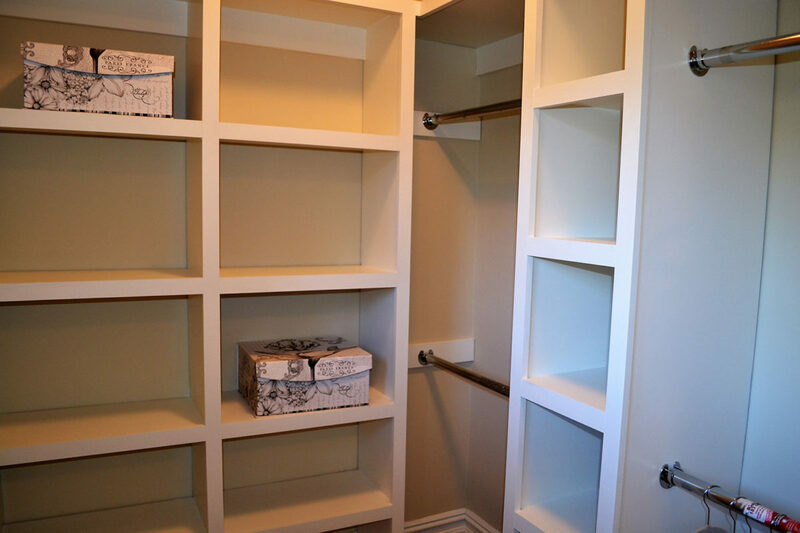 The double ovens and refrigerator are built into a large wall of pantry cabinets. 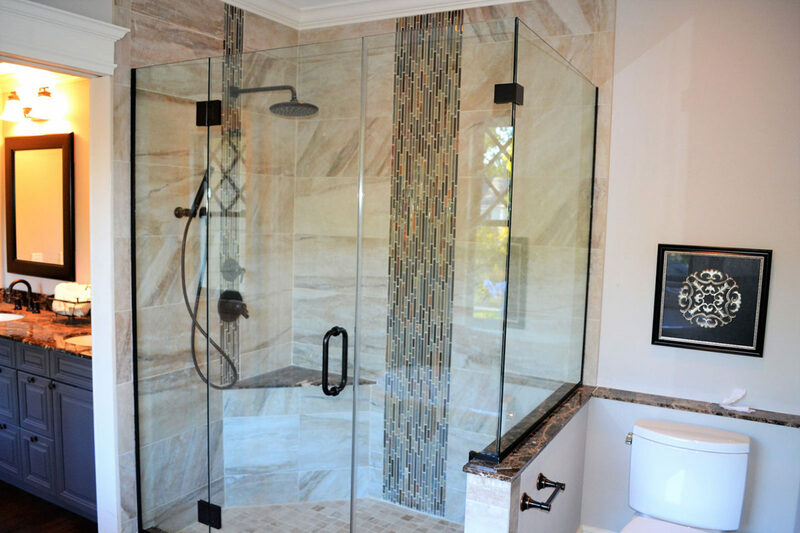 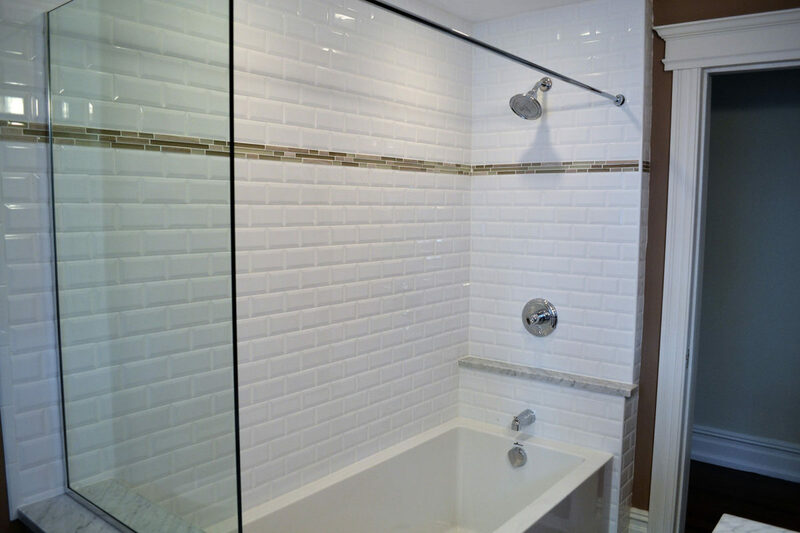 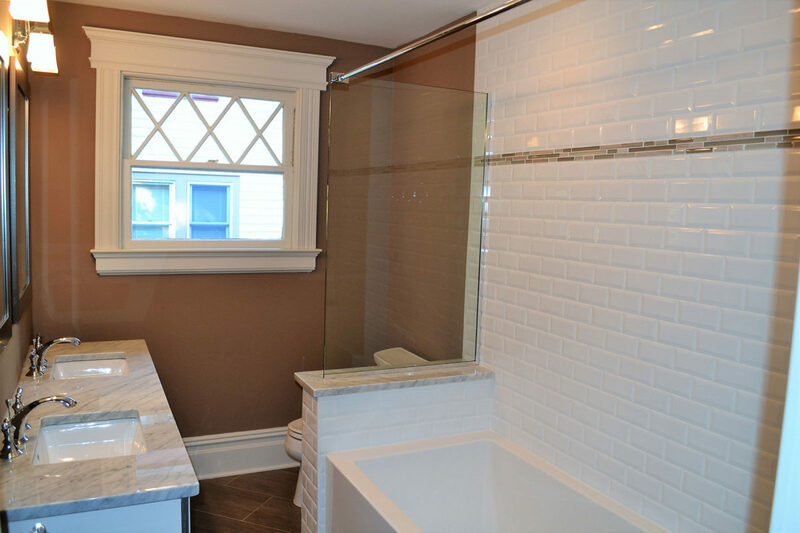 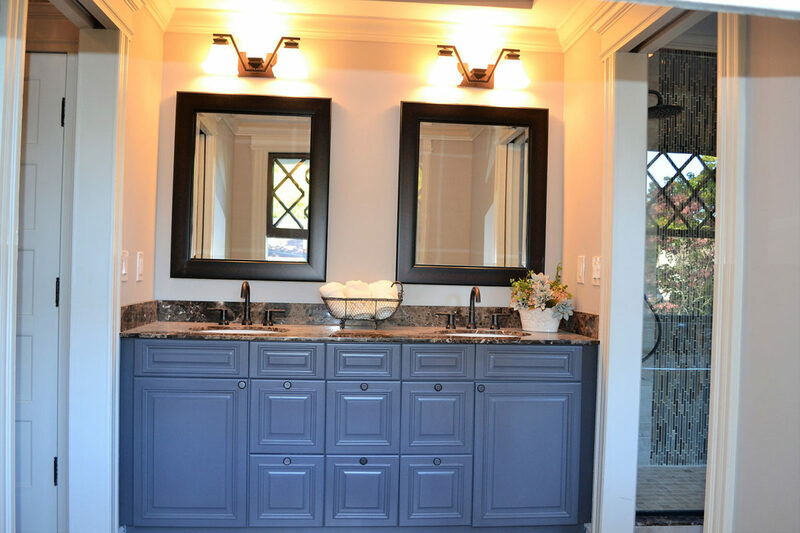 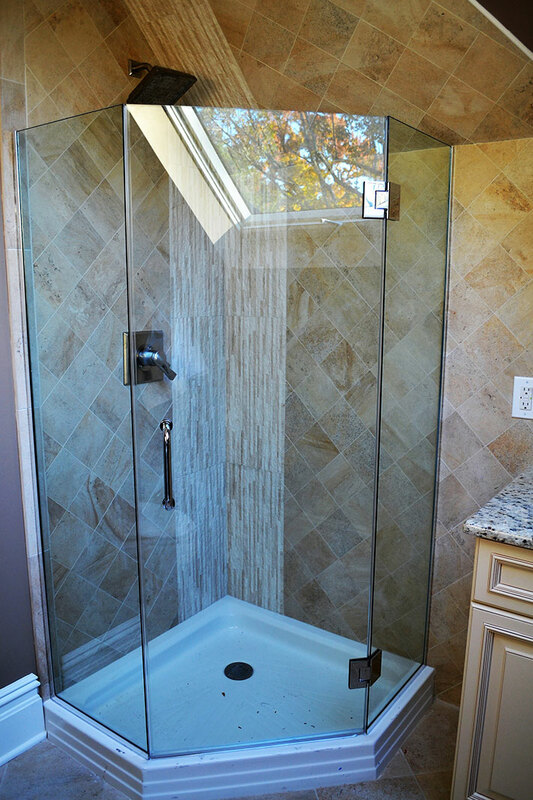 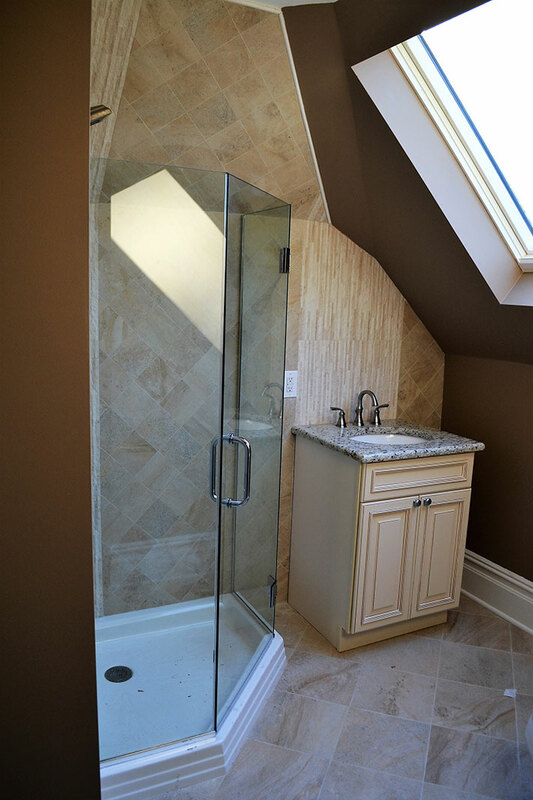 The bathrooms feature custom tile work in the showers and tubs as well as custom vanities. 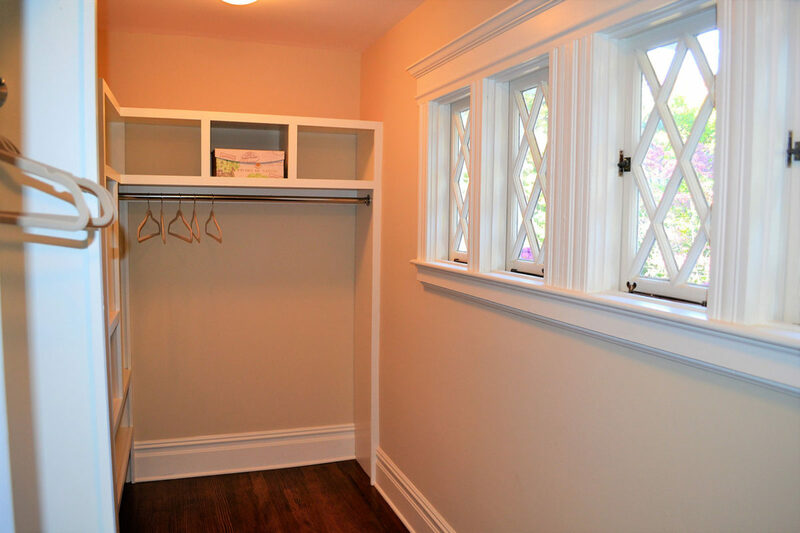 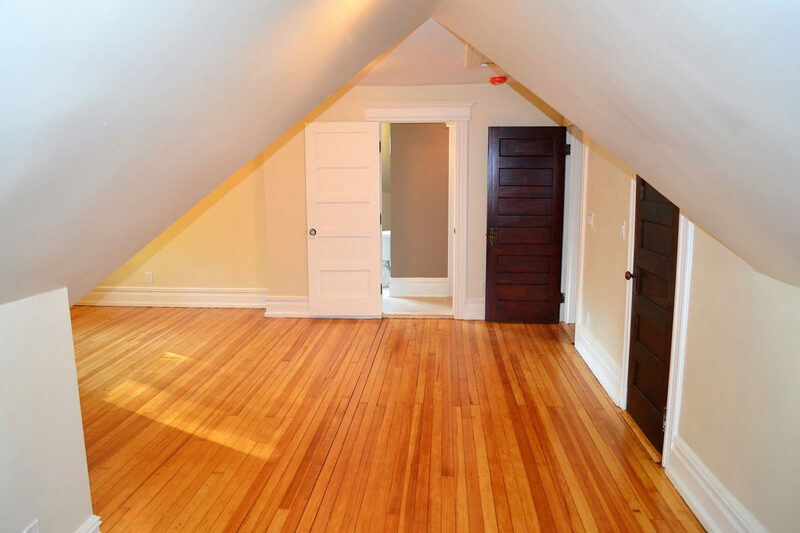 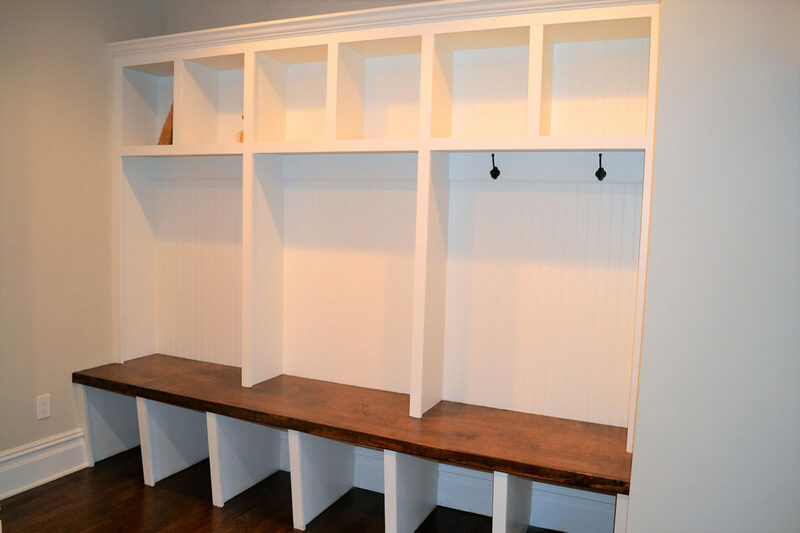 The closets were also remodeled to suit the needs of today’s family.